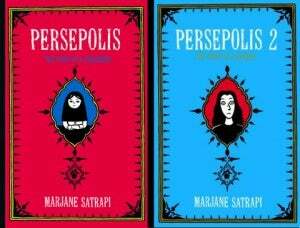 The CEO of the Chicago Public School System has responded to community concerns that the award-winning graphic novel Persepolis was ordered to be removed from schools and school libraries by explaining that those orders were overly broad and never the intent of CPS. Chicago Public Schools CEO Barbara Byrd-Bennett said that Marjane Satrapi’s autobiographical graphic novel about growing up in revolutionary Iran has been is not appropriate for seventh graders, in whose curriculum CPS previously included the book. “It was brought to our attention that it contains graphic language and images that are not appropriate for general use in the seventh grade curriculum. If your seventh grade teachers have not yet taught this book, please ask them not to do so and to remove any copies of the book from their classrooms,” Byrd-Bennett wrote. She specifically singled out depictions of torture in the graphic novel. “We are not requesting that you remove Persepolis from your central school library,” Byrd-Bennett added in her statement. That's an important distinction because, as one teacher pointed out on the blog post which set off the furor over the apparent ban, the legality of removing books from a school library without due process is hazy at best. "Board of Education vs. Pico in 1982 states that is illegal to remove a book from a high school library," the teacher wrote. "This, effectively, is a violation of the Freedom of Speech. Board of Education v. Pico, 457 U.S. 853 (1982), was a case in which four Justices of the United States Supreme Court concluded that the First Amendment limits the power of local school boards to remove library books from junior high schools and high schools, four Justices concluded the contrary (with perhaps a few minor exceptions), and one Justice concluded that the Court need not decide the question." The Comic Book Legal Defense Fund reports that a letter has been sent to principals, telling them to disregard the previous notice to pull the book, but the work remains under review for use in grades 8 – 10.